Rick Miller of Miller Marine Systems completed this Penobscot 14 in 2003. 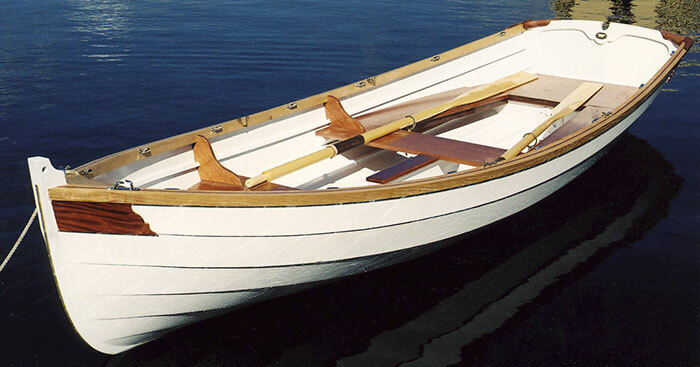 She is a pulling version of the Arch Davis 14' x 4'6" design, using a daggerboard. LOLLYPOP was delivered to her owner, Charles Ward of Barbados, West Indies and launched on December 25, 2003. The owner requested a boat a little heavier than the plans called for. So Rick used white oak for keel, stem, and cap rails. Rick's website is millermarinesystems.com or email him at miller35@bellsouth.net.